Hi sewing friends! This weekend I finished up some quilt blocks that I made for the MQG Quilt Con Charity Quilt Challenge. 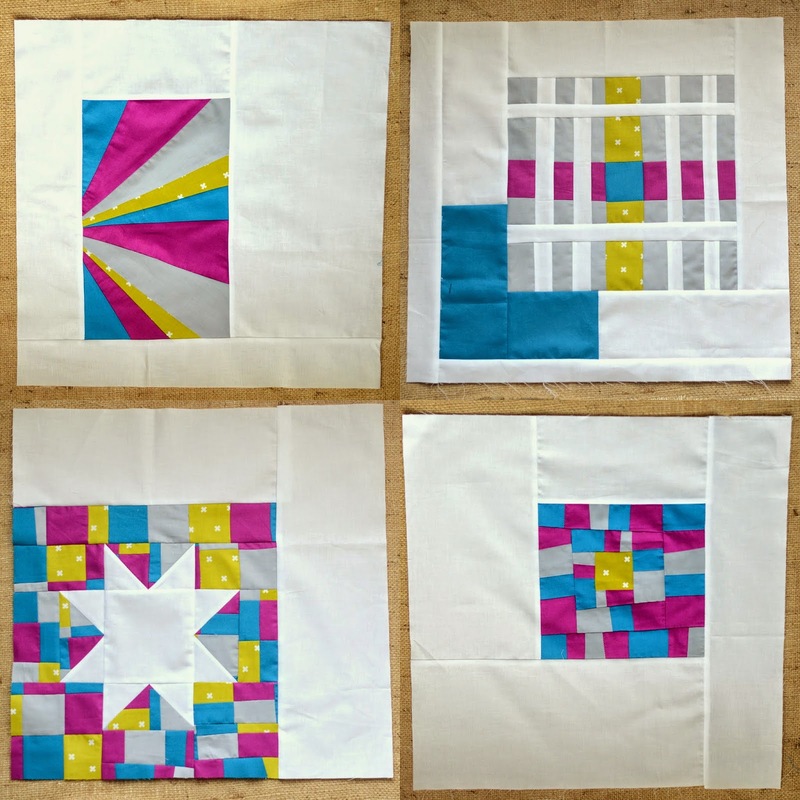 My assignment was to sew up 4 (18 1/2") blocks using at least 3 colors from the given color scheme. They are "floating" on a white background they can be used in an alternative gridwork layout. I just "improv" pieced them all together. I love this kind of piecing, It is imperfect and fast and random. I love random. My blocks will be combined other blocks to make one quilt that will be donated a charity of our choosing (not sure which yet). Everyone's blocks look so very different, I'm excited to see how it will all come together. Here's a link to our flickr group if you want to see some of them. Also Wanda posted about them here. She's the lucky one who gets to sew them all up. Good luck Wanda! Holy cow! Those are awesome!!! These are amazing! Your group's quilt is going to be fantastic! !